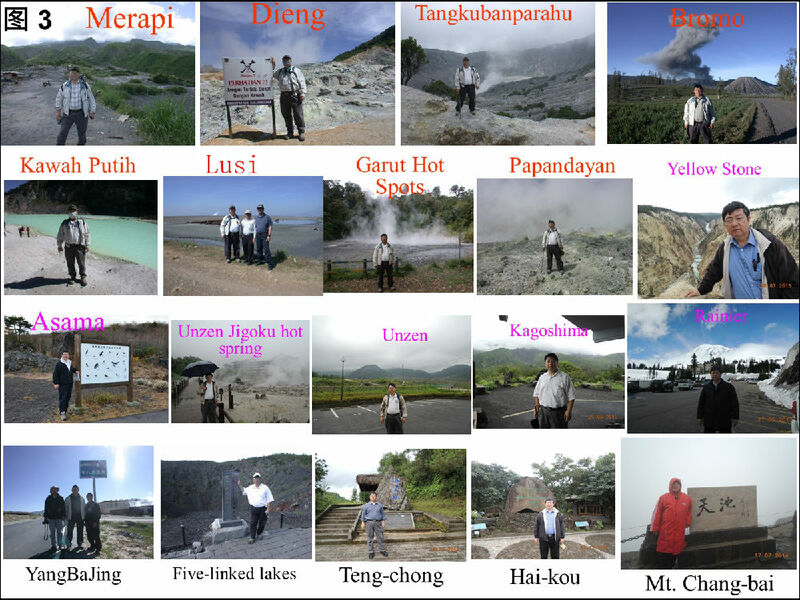 Many phenomena and data related to volcanoes and volcano eruptions have been observed and collected over the past four hundred years. 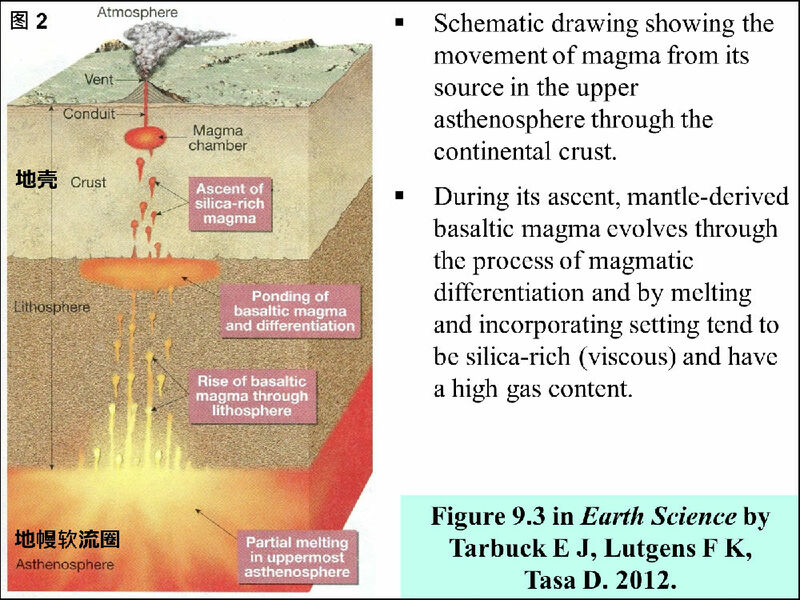 They have been interpreted with the conventional and widely accepted hypothesis or theory of hot magma fluid from mantle. However, the prediction of volcano eruption sometimes is incorrect. For example, the devastating eruption of the Mount Ontake on Sept.27, 2014 was not predicted and/or warned at all, which caused 55 fatalities, 9 missing and more than 60 injured. 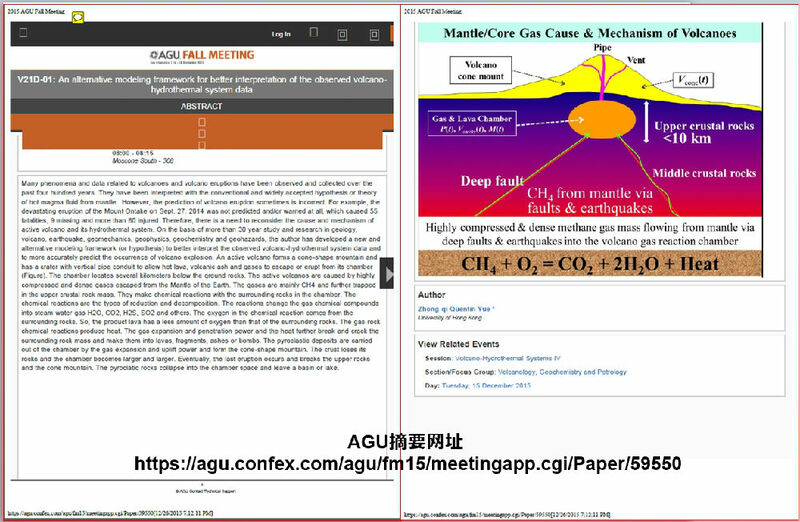 Therefore, there is a need to reconsider thecause and mechanism of active volcano and its hydrothermal system. 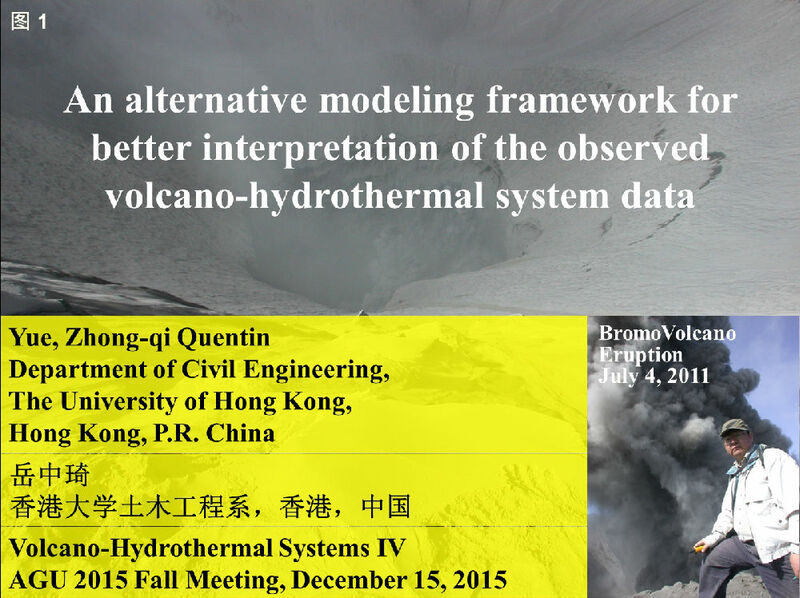 On the basis of more than 30 year study and research in geology, volcano, earthquake,geomechanics, geophysics, geochemistry and geohazards, the author has developed a new and alternative modeling framework (or hypothesis) to better interpret the observed volcano-hydrothermal system data and to more accurately predict the occurrence of volcano explosion. An active volcano forms a cone-shape mountain and has a crater with vertical pipe conduit to allow hot lava,volcanic ash and gases to escape or erupt from its chamber (Figure). The chamber locates several kilometers below the ground rocks. The active volcanos are caused by highly compressed and dense gases escaped from the Mantle of the Earth. 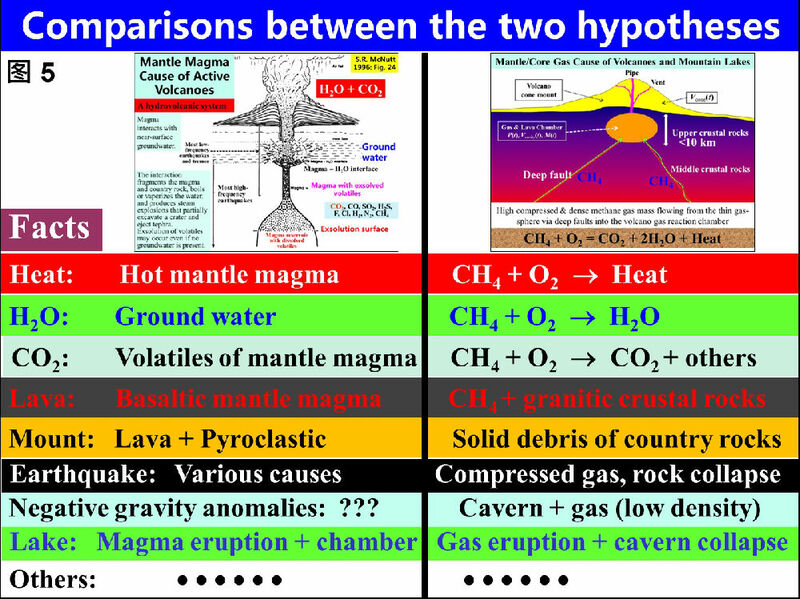 The gases are mainly CH4 and further trapped in the upper crustal rock mass. They make chemical reactions with the surrounding rocks in the chamber. The chemical reactions are the types of reduction and decomposition. The reactions change the gas chemical compounds into steam water gas H2O, CO2, H2S, SO2 and others.The oxygen in the chemical reaction comes from the surrounding rocks. So, the product lava has a less amount of oxygen than that of the surrounding rocks.The gas-rock chemical reactions produce heat. The gas expansion and penetration power and the heat further break and crack the surrounding rock mass and make them into lavas, fragments, ashes or bombs. The pyroclastic deposits are carried out of the chamber by the gas expansion and uplift power and form the cone-shape mountain. The crust loses its rocks and the chamber becomes larger and larger. Eventually, the last eruption occurs and breaks the upper rocks and the cone mountain. 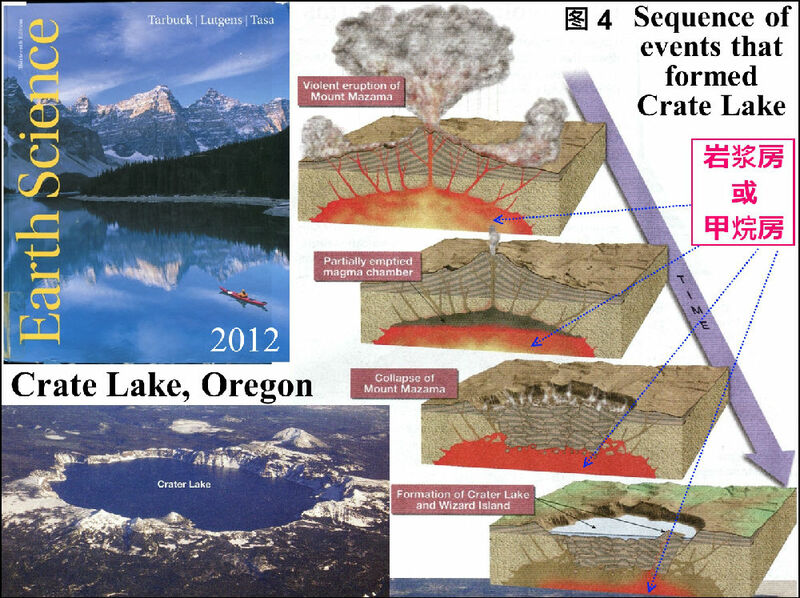 The pyroclatic rocks collapse into the chamber space and leave a basin or lake.